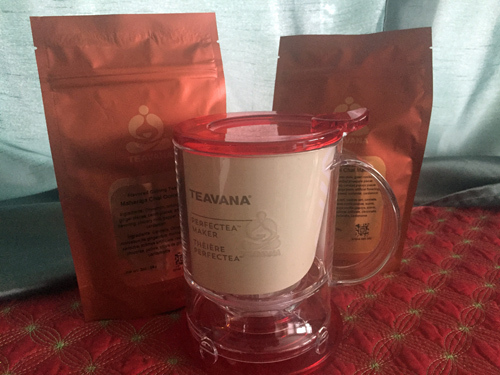 Leao bought me a beautiful new tea steeper from Teavana for Christmas and two new loose teas. I drink both bagged and loose tea. 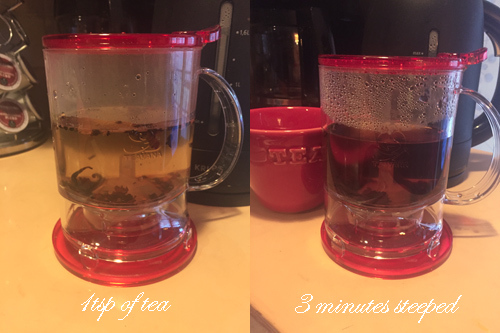 I love the idea of loose tea, because it’s fresh and I like the control over loose teas. More people in the US drink tea from tea bags, I believe mainly for convenience and the price. But loose tea is not that much more expensive. Especially when you think of the quality factor. There is, of course, a huge taste difference. Teabags generally contain bits of tea leaves (typically fannings and dust), not whole leaves, and these leaf fragments brew up a nice cup of blah tea. As any tea expert will tell you, one of the essential requirements of brewing tea is giving the leaves enough room to expand so that their flavor is properly extracted. Because space is limited in a traditional teabag, the size of the tea leaf is smaller to compensate. Thus, the quality of the flavor is decreased. Thus, loose tea reigns supreme. For this reason, tea steepers are ideal. You can actually see the leaves expand while they infuse the water with yummy goodness. Adagio teas is a site that you can order loose tea and they kindly break down the expense per cup so you know exactly where your money goes. A lot of times people avoid loose tea because they think it requires a lot of expensive equipment. 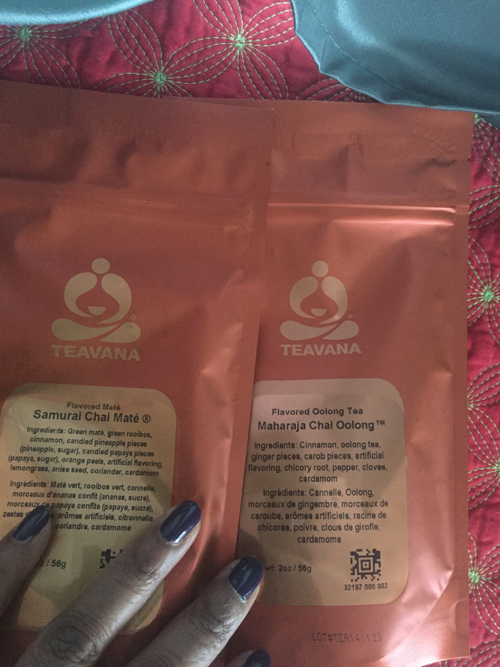 You don’t have to buy a fancy steeper from Teavana there are other more economical options but remember it is a one-time buy that will give you access to high quality tea. If only you could put your nose over this steeper when I finished steeping the tea, the aroma is intoxicating. The cinnamon is heavenly. Nothing like loose tea so I dare you to try it. It’s fun and there are so many to choose from, I promise you will never be bored! Previous PostHappy New Year…I’m Back!! !